A great classic, bread and mortadella, revisited in a croissant version and choosing a high quality product like Mortadella Bologna PGI. An absolutely unique and unique production technique all over the world, regulated by a Production Standard approved by the European Union. That's exactly how it can not be improvised to produce Mortadella Bologna. But how is this unmistakable and versatile salami born? The starting point is carefully selected meat that is mechanically shredded through three different steps. The "lardelli" are then prepared, the fat cubes that characterize this salami, and the mixture thus obtained is bagged and subjected to binding. Then begins the most delicate phase, cooking, which can last from a few hours to several days and gives the mortadella all its aroma and its softness, finally ending with the showering and cooling. 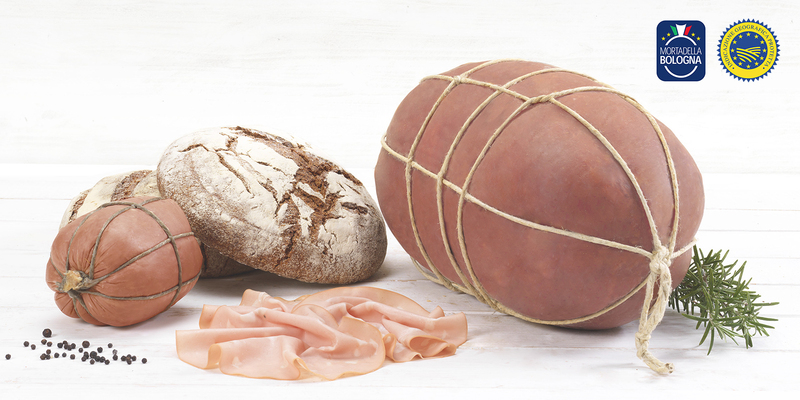 The result of this long and intense production process is one of the most loved and appreciated cured meats of Italian cuisine, with an aromatic scent and a delicate but definitely unmistakable flavor: Mortadella Bologna PGI. And now that we've known her better, let's taste it inside soft croissants of pistachio-flavored bread. Roll out the bread dough into a rectangle about 0.5 cm thick. Jogging to get a regular shape. Brush the surface with a beaten egg along with a drop of milk. Then cut the rectangle in half, lengthwise, then divide each half into 8 triangles. Sprinkle the dough with the chopped pistachios and close the triangles, rolling them from the base towards the tip; then fold them to half-moon, obtaining the croissants. Arrange the croissants on a plate covered with baking paper, brush them on the surface with the egg and sprinkle with chopped pistachios. Bake at 200 ° C for 18-20 '. Remove the croissants from the oven and serve them warm together with the Mortadella Bologna PGI. This recipe has already been read 36 times!